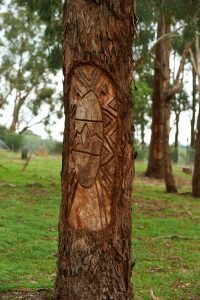 In the early 1980’s a small group of passionate Wurundjeri Elders, the Traditional Owners of Greater Melbourne, developed a shared vision for themselves and future generations of Wurundjeri people. By 1985, their vision had crystalised and the Wurundjeri Land and Compensation Cultural Heritage Council Aboriginal Corporation, a representative body, was born. The Council was established in 1985 by blood line descendants of the Wurundjeri people. In March 1998, part of the Coranderrk Aboriginal Station was returned to the Council. The Council was appointed for part of its application area in August 2008 by the Victorian Aboriginal Heritage Council (VAHC). 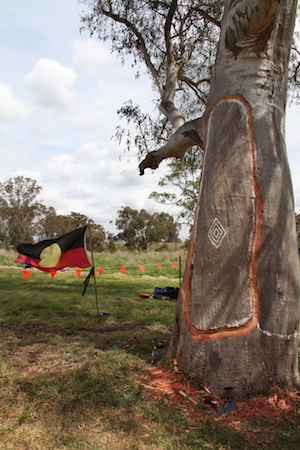 Wurundjeri’s RAP area was extended in October 2013 following successful negotiations with a neighbouring tribe. 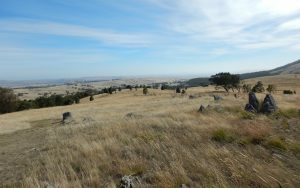 In 2012, the titles to Wil-im-ee Moor-ring (Mount William) and the nearby Sunbury Rings Complex were handed back to Wurundjeri people by the federal Indigenous Affairs Minister Jenny Macklin. It was the first handover of title to Aboriginal Victorians since the Gunditj Mirring people were granted land in the state’s west in 2007. In 2012, members of the Council gathered green stone blancs from the Wil-im-ee Moor-ring (Mount William) quarry to make axes with which to scar a River Red Gum at Plenty Gorge to build a koorong (canoe). This project was highly significant as it was the as it was the first time members of the Council had made a kooyong and scarred a tree since the establishment of the Council. Council has had three scarring events since (see below). In May 2016, the Council became aware of the existence of William Barak’s cultural work Ceremony . Learning of plans for the works auction, Council attempted to make contact with the then owner to discuss the future of the work. This approach was rejected. 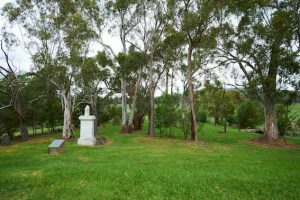 The Council launched a crowdfunding campaign to repatriate Ceremony, but fell short of the funds needed (the work sold for $512,400 including premium). The Council publically called for a review of Aboriginal Cultural Heritage legislation via a newspaper article that appeared in The Age and Sydney Morning Herald (June 16th, 2016). Such a review has yet to occur. 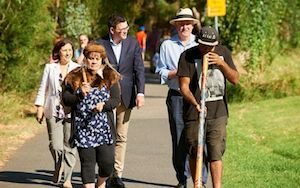 Wurundjeri Council and State Government launch Yarra River Action Plan (Wilip-gin Birrarung murron). The Yarra River Action Plan included the creation of the Birrarung Council, which will provide independent advice to Government. It will comprise Wurundjeri Council as the relevant Traditional Owner group, and representatives from environmental, farming and community bodies. New controls will create tougher rules that protect overshadowing of the river and its banks, height restrictions of new developments and minimum setbacks to protect the river and its banks. Council hopes that this will Wilip-gin Birrarung murron for generations to come. 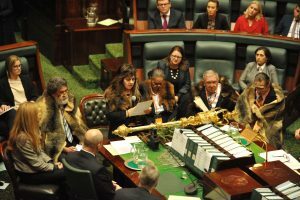 On Thursday the 22nd June, Wurundjeri Elder’s addressed the Victorian parliament in an unprecedented ceremony. They gathered to support a bill, tabled by the planning minister, Richard Wynne, the Wilip-gin Birrarung murron (Yarra River Proctection) bill 2017. The bill is the first legislation ever to go before the Victorian parliament with a dual Aboriginal language title, and the first to include an Aboriginal language preamble. Wurundjeri Elder, Aunty Alice Kolasa is the first Wurundjeri person to speak from the floor of the parliament as a Traditional Owner of the land upon which Parliament House is built. The legislation creates an independent body called the Birrarung Council, two members of which must be nominated from the Wurundjeri Land and Compensation Cultural Heritage Council Inc. It grants Wurundjeri people a legislatively-enshrined voice in the formal custodianship of the Birrarung. Wurundjeri Council’s speech to the lower house is available here. The Woi wurrung language preamble to the 2017 Act is available here.